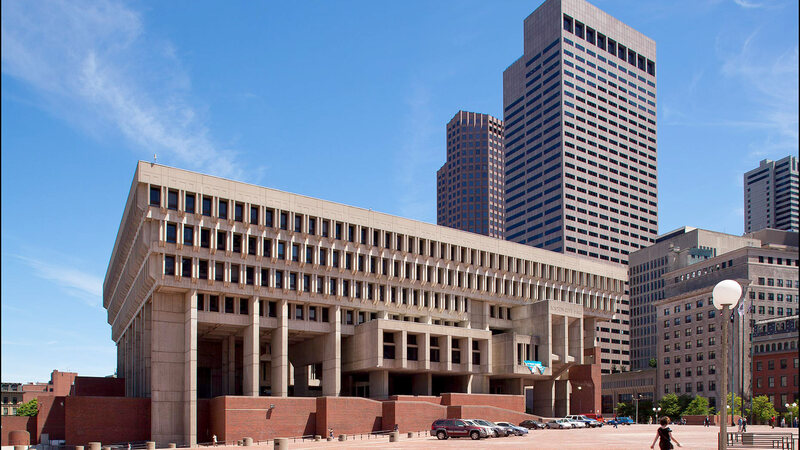 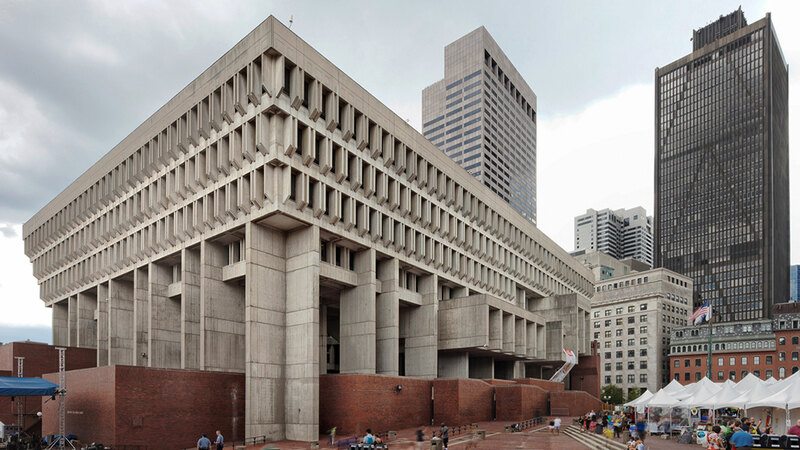 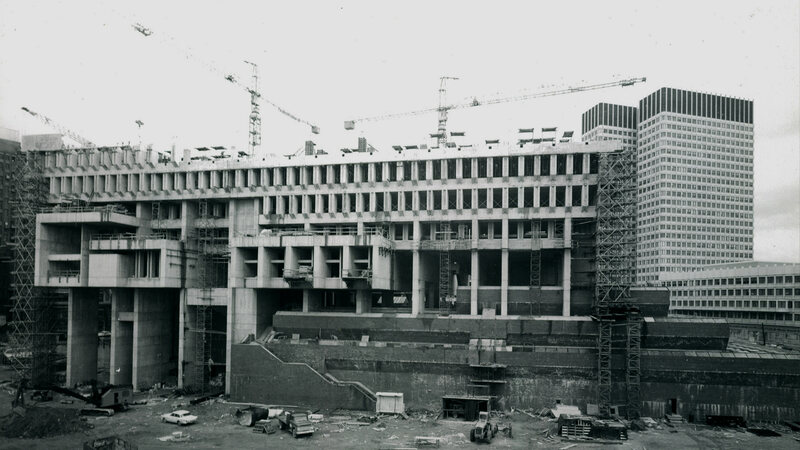 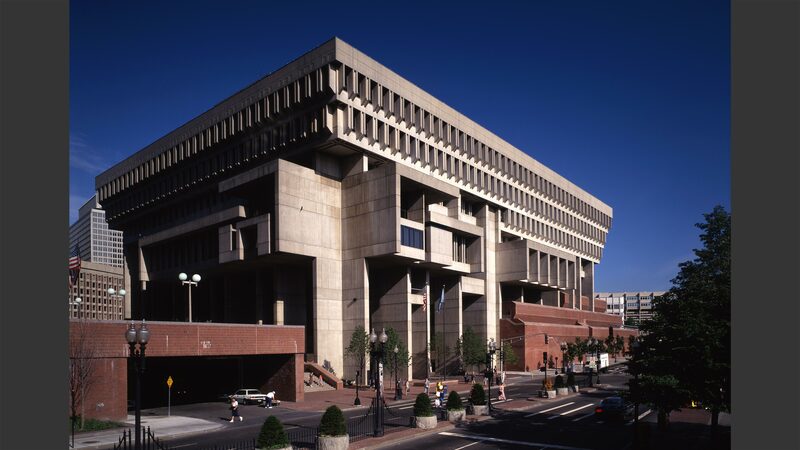 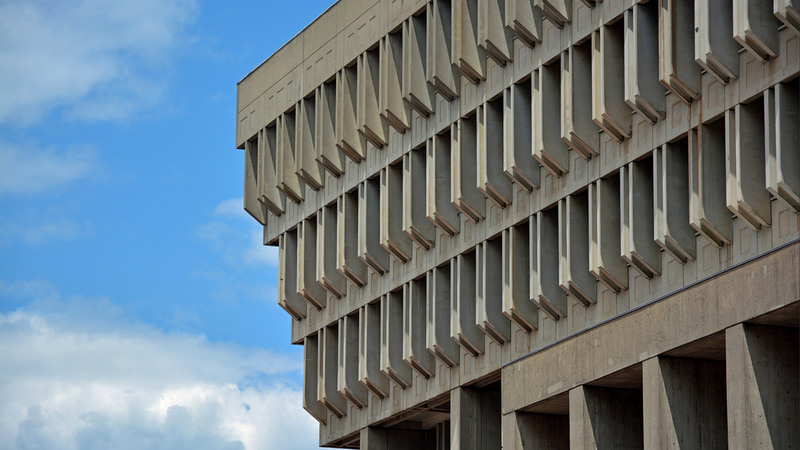 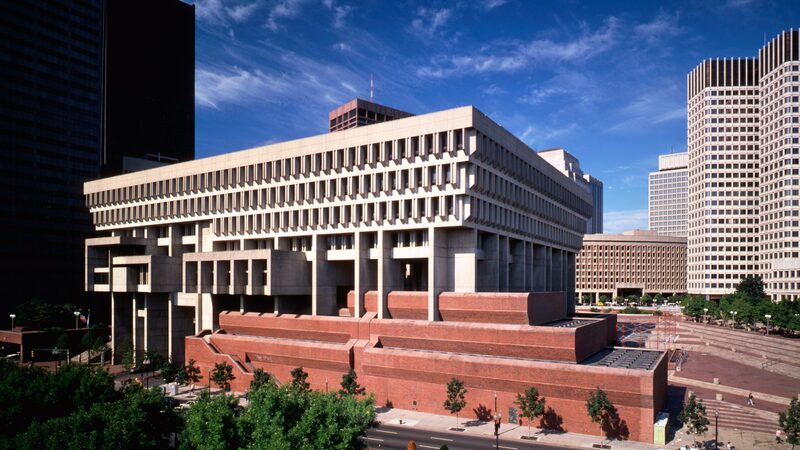 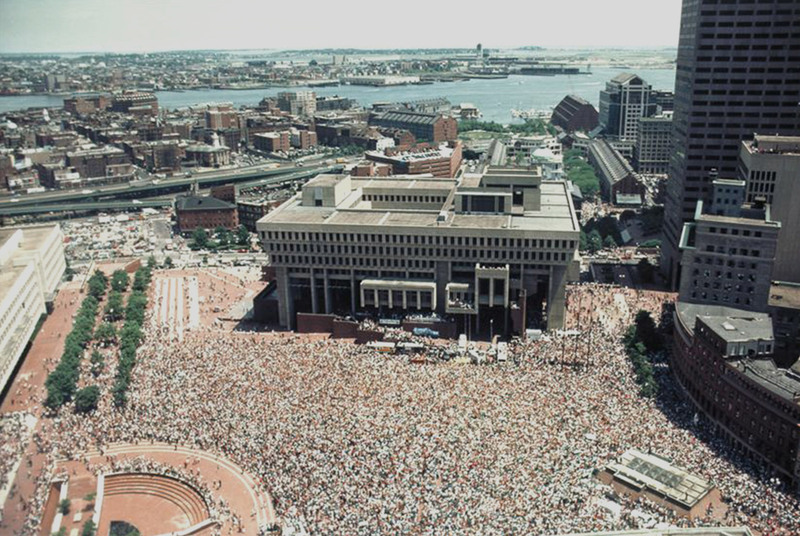 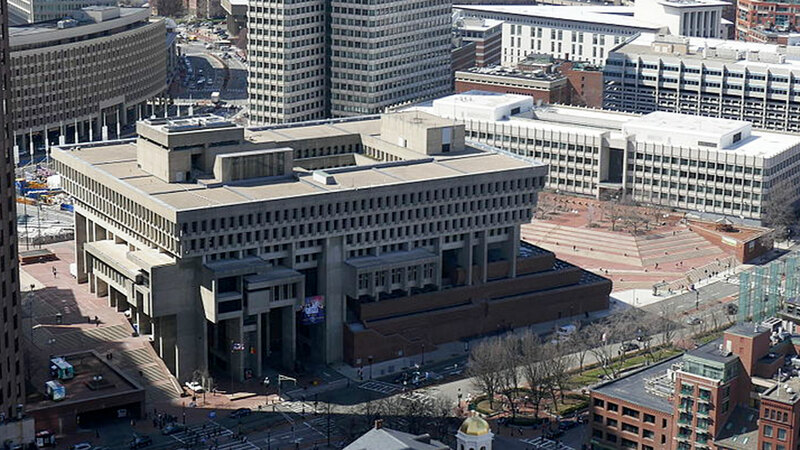 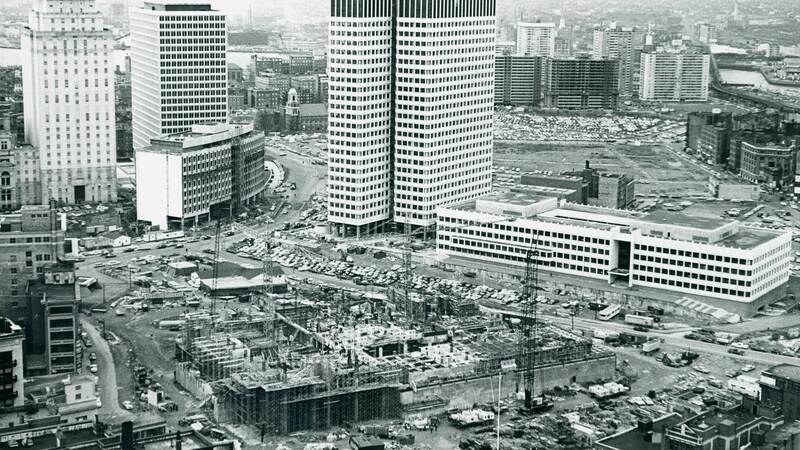 With exposed structure on both the interior and exterior of the building, this anchor of Boston’s Government Center shows off concrete architecture throughout. 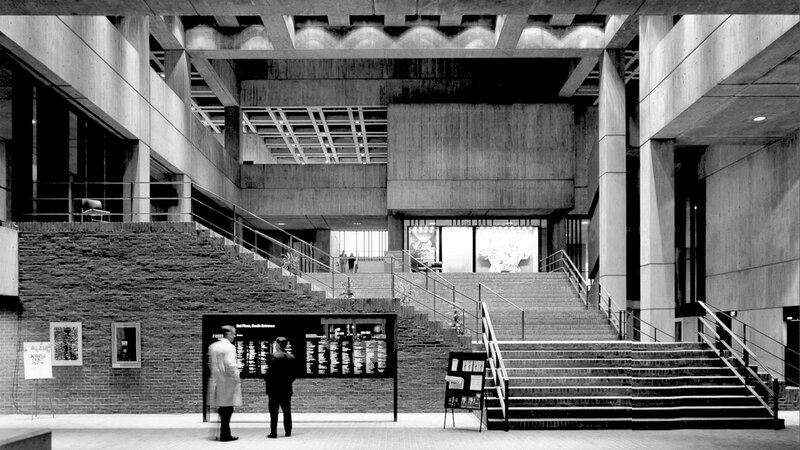 Offices, libraries, chambers and conference rooms representing the inner workings of the city’s machinery surround an inner multistory courtyard. 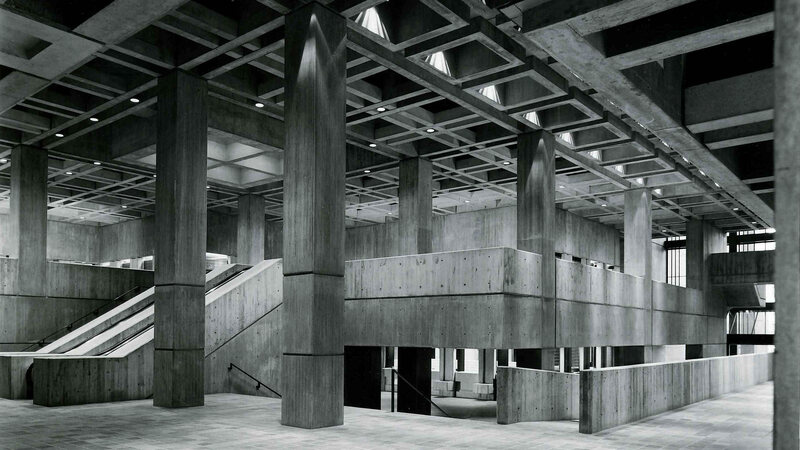 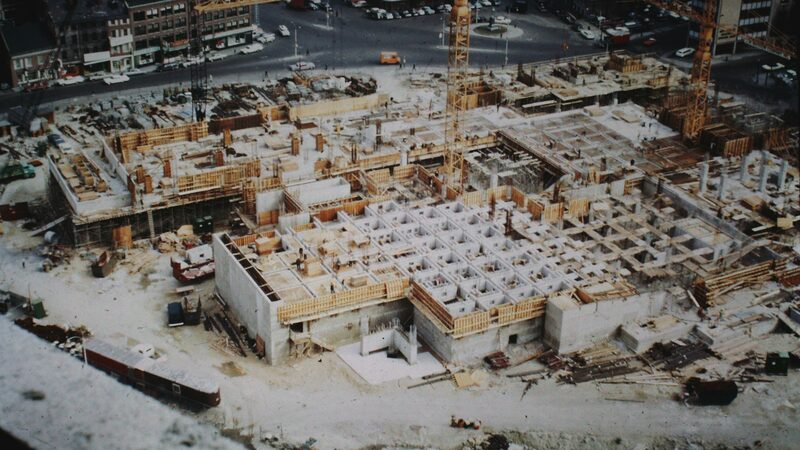 The concrete columns reach below the bricked plaza to deep steel girders that transfer loads around the subway tunnel traversing a portion of the building.